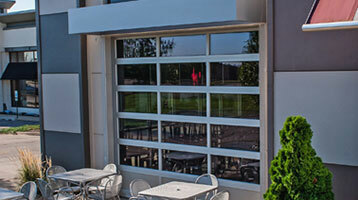 GARAGE DOORS ARE OUR SPECIALTY. IT’S WHAT WE DO. If you want to raise the curb appeal of your home, you’ve come to the right place. 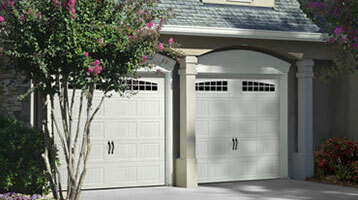 Because a garage door can take up to 30% of a house's viewable facade, you can increase the value of your property significantly by choosing one of our doors in a variety of colors, styles and options. See what we can do for you! 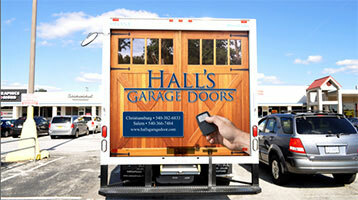 Click through our site for lots of looks and options -- then call Hall's at 540-366-7484 or 540-382-6833. The looks are many, the style can be all your own. Your style choices are virtually endless. … Learn more. Our long-time, reliable suppliers have a door for every job … See more.